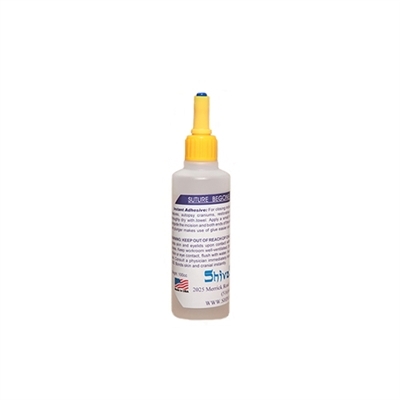 Suture BeGone Adhesive by Shiva Shade is a fast, easy and effective alternative to needle stick suturing. Great to seal incisions, autopsy craniums, restorative art work, closing features (eyes, mouth). Dries clear. Suture BeGone Adhesive is available in a 100 cc bottle. Sold by the bottle. Shiva Shade’s products usually ship in 2 to 3 days. Please call us before ordering if you need to know a more accurate shipping date for this product.